(CNS): Despite some lingering opposition in the business community, Caymanian workers finally enjoy protection under the law from gender discrimination. The Gender Equality Law, which came into effect on Tuesday, promotes equal treatment in the workplace but does not impose quotas, as has been suggested. It will also pave the way for Cayman Islands to join the 187 countries around the world that have ratified the Convention for the Elimination of Discrimination Against Women (CEDAW). “Whether you are male or female, employee or employer, learning your rights at work under the Gender Equality Law will benefit our islands while creating an equal future for our sons and daughters,” said Mike Adam, the minister who steered the passage of the law. It will be interesting to see how some of the large law firms, who are amongst the biggest offenders, will address this issue. Funny, I have colleagues who can bill 15 hours in an 8 hour day. I think you will find that they were at work for longer than 8 hours. It is a rare lawyer that leaves work at 5:00 p.m. on a consistent basis. Also you need to understand how billable hours work. Time is charged in increments of 10 or 15 minutes depending on the firm so that if a telephone call lasts 2 minutes it is charged as 10 or 15 minutes. On that basis it is possible to bill for a longer period than you are actually at work although it is extremely unlikely to be the ratio that you suggest. You do that already but it is only sexual harrassment if it is done by a man. Go ahead, mine will keep you up at night – but by the way, you haven't made a point relevant to the discussion. One of my validations are the way I used to witness a husband beating his wife when she didn't have dinner ready. Many Cayman men would beat their wife at the drop of a hat and I need not go any further. Drinking was a big problem with Cayman men as well. Lets leave it there. I have heard of women beating men too, but what does this have to do with work place discrimination? Another law and a good one I might add, but will it be enforced? Like the NPL?? So now will men be expected to drive equally bad as women? Like all the other laws forced upon Cayman from the UK and the Bill of Rights they will remain meaningless until they are actually enforced. Until then women will remain only a "sacred vessel". So that Adam and Eve part in the bible about the Extra Rib needs to be modified now? But seriously, this is great news. now where’s my dinner? Wait a minute! Are you from the eighties??? Those very uninformed persons who spout off that Cayman "has always kept women down" should adjust their perspective and get real. To them I will say, if you don't know what you're talking about it's best to stay quiet. If you have to speak up, as is your right, be accurate! Cayman, like the 'islands time forgot', that they were at that time, did not afford women the right to vote until decades after other places. But culturally, Caymanians were always a matriarcally-dominant people. Our mothers have been the people who ran our islands while their men were out at sea and gone to the Cays, or gone and never returned. So quite contrary to the views of 'EYE ON ISLAND' , women have, in fact, always been held UP in Cayman. Aside from not having the right to contribute to the political machine and exercise that right, Caymanian women were always very prominent, influential and successful in our society. The facts prove it. Our history is short, so appropriate perspective applies. Our history tells of an early settler, large landowner and dowager who help establish our first capital, Bodden Town. As professions developed, many Caymanian women were firsts in professional fields from the late 19th and early 20th century, Mrs. Flora Robinson, for example and without even naming the well-honoured lady National Heroes, other prominent women in different areas of our society – Attorney Annie Bodden, Ms. Una Bush, Mrs. Hope Glidden-Borden, Mrs. Cook-Bodden, a mere few of times past and of current times, view Mrs. Jennifer Dilbert's career, among many other prominent and influential women. So where is your validation EYE? I agree that historically women in the Cayman islands built this country. While the men were away at sea, it was the woman who got this island built to where it is today. However, this changed a few decades ago when young men stopped going off to sea at age 16 and I have seen massive inequality towards women here in Cayman. Perhaps Caymanian women were less affected but expats, expecially those from 3 world countries, are consistancy treated poorly and have to suffer sexual harassment from business owners while getting paid less than their male counter parts. Can you give solid real world examples? Great news…so what is going on with investigation of the premier? men and women are not equal…… but should be treated equally…. You obviously have not met my wife. That's great, now get me another coffee honey. This is a start, but behavioural and attitudinal change is going to take a lot more time and effort. Cayman has always held women down. Main reason why there is no Boundary Commission single member districts to keep them out of power. There is no human rights for women here. The main reason is Cayman men. The cost of living just doubled becos of this newly legislated entitlement. When men start to lose their jobs becos the company hs to pay their women workers more, wonder what the wives of those job-lost men will say? How about those wives tell their husbands : "Can you do the shopping and cleaningwhile I am out at work?" Where can I sign up for that treatment? I don't know about that, but it's possible some men will lose their jobs because they don't know how to spell. why are you planning on giving birth? I am sure that can be arranged as soon as you are capable of giving birth, breastfeeding and all the other physical “delights” that go hand in hand being a new mother you insensitive tool. When you can do all those things without the need of a man, or any part of a man, we'll shut up. 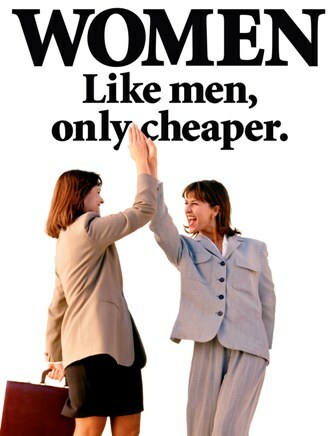 Women, like men, only wayyyyyyyy more expensive. And fun. When you are able to carry and deliver the baby that should not be a problem! Oh so it's okay for women to get a benefit when something about them is 'different' from men but when men are different in a way and need more than women the women need to be equalised to the men. In other words women want equality plus – plus a few extras. Many countries have already instituted paternity leave. I'm not sure why you think women would have a problem with it. It's your government you need to lobby. Three months is a pittance anyway, compared to what some others countries give. I understand. Those are your natural limitations. But why is that the employer's problem and why should they have to pay for it? That is a form of discrimination. Unless you're a gay woman in which case you're going to prison. What does CEDAW say about that? So I can only assume that the RCIP will take the lead and start to eradicate the intolerable inequality at play there then? That pic cracks me up… im just glad everone will finally get fair treatment… or will they??? Yes, the irony of the picture isn't lost! That's for sure. Unfortunately, a law does not change a culture . . . . .
Man, is that tribunal going to be busy!